Colleagues participating on a recent Civil Service Local North East, Yorkshire and the Humber Academy realised that there was no easily accessible, cross departmental job shadowing opportunities available to them. Working together, they developed a project called iShadow to enable Civil Servants to job shadow colleagues in departments other than their own. Jo and the team were very welcoming and clear in terms of explaining what they were working on, the broad context and history and what they were trying to achieve. I found getting involved in a practical session a great way to learn about key research skills and skills I hope to make use of myself. Jo was really approachable and keen to answer my questions as we talked through some of the common issues faced by user researchers. We explored ways to get around typical problems, including programme buy in, delivering on challenging policy aims, and logistics of getting to ‘hard to reach’ users. We also talked about me visiting again to see some lab work as the team move onto the next phase of research, which would be fantastic! 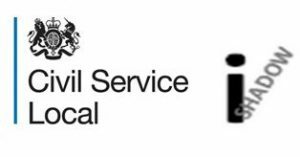 If you would like to get involved, we are looking for Civil Servants across the North East and the Yorkshire and Humberside who wish to shadow a colleague in another department. We have attached a guide to job shadowing that we hope you find useful when considering whether you would like to take part in iShadow. If we have sparked your interest, please take a look at the list of current opportunities available and visit our booklet for further details about each opportunity. Alternatively, if you could give up a short amount of your time to host a colleague from another department who is interested in your work, we would be keen to hear from you. If you are interested in any of the iShadow opportunities, please contact Kelly Roush for an Expression of Interest form.